But can he really do it? So the only catch here is – investors need to know where to look for. And everybody in the world knows where to look for first hand information about Tesla, CEO Elon Musk’s twitter account. Elon has used Twitter for a very long time to break stock market breaking news about Tesla. So he is on the safe here. You really have to hand it to Elon Musk. Just as the market was digesting the news about Saudi Arabia’s sovereign wealth fund building a $2bn Tesla stake, Elon added more fuel to the fire by letting the world know that he is planning to take Tesla private. Mergers and acquisitions fail all the time. Taking a public company private is no cake walk either. Remember the amount of struggle Michael Dell had to go through to take Dell, a company he founded, private. His buyout plans were countered by two rival bids, a group of investors opposed the buyout and it took nearly ten long months to take the company private. So, it may or may not work for Tesla. Even if it doesn’t work out, Tesla can still happily walk away. But what about the shorts? Ouch. Tesla is one of the most shorted stock in the world with nearly 30% of the stock shorted. ~35 million shares. There is a knife hanging over their heads. Will they be willing to bet now that Elon Musk won’t be able to take the company private and stay till the very end? As the stock keeps approaching $420 (the buyout price), which will inevitably happen for any company with a publicly announced buyout offer, their mark to market losses will keep increasing. As the account keeps turning red, brokerage will ask them to add more funds. Increasing the pain. There are nearly 35 million shares borrowed by the shorts to bet against the company. Even if a fraction of them start covering their position, the price will shoot up, dragging even more shorts to cover and the more shorts cover, the more will be dragged towards the exit. There is good chance for the stock price to even soar above $420, but it entirely depends on how furious the short squeeze is going to be. The market will be waiting for more information about Tesla’s plans to go private and eagerly waiting for the regulatory filing to be done. The more news trickles down about the plan, the harder it’s going to become to stay short. Because, now the question is not about whether Tesla will go bankrupt or not, it is about will the plan to go private will work out or not. This is why the timing of the announcement makes a huge difference. An hour or so after word got out that Saudi’s contacted Elon Musk to buy newly issued shares. A $230 billion fund, ready to invest in the company. The land of oil, hedging itself with a electric future. 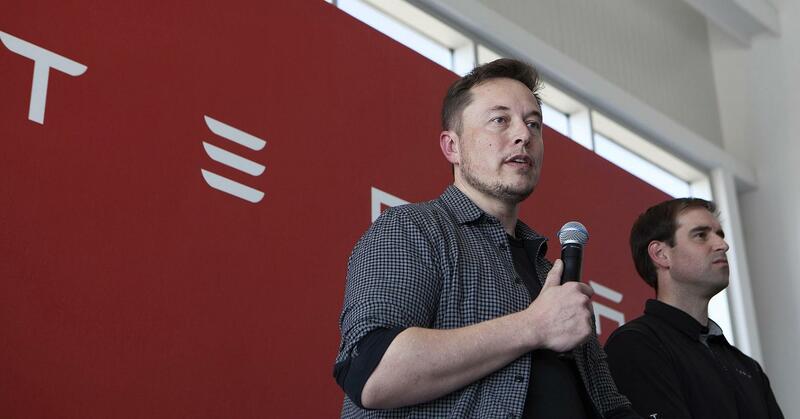 Tesla is saying – we have investors with deep pockets lining up for a stake. Over to you shorts. This is not investment advice. Just my thoughts. I do not hold Tesla stock and have no plans to initiate a position in the next 72 hours.